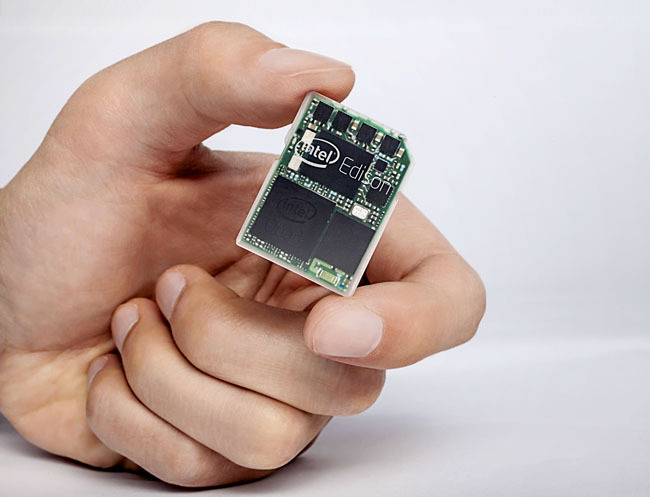 This is something I’ve never seen before, Intel has put a PC into an SD card-sized casing. They call it the Edison, Edison is based on Intel’s Quark chip, which they launched last year. Quark is a 32-bit low-power x86 processor running at 400MHZ connected to some LPDDR2 memory and Flash storage, Bluetooth 4.0 and Wi-Fi. Edison was unveiled during Intel CEO Brian Krzanich’s Consumer Electronics Show (CES) keynote. So what will it be used for? Beats me. Intel says this is their answer to the increasing trend of wearable tech.